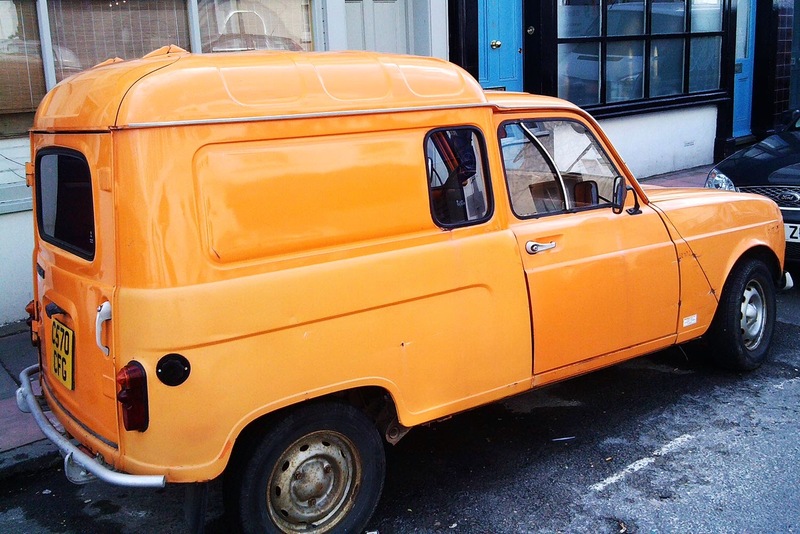 I spotted this Renault 4 Fourgonnette (van) in Brighton. The model was produced for incredibly 31 years (1961 - 1992). It has driving wheel on left side (French import? 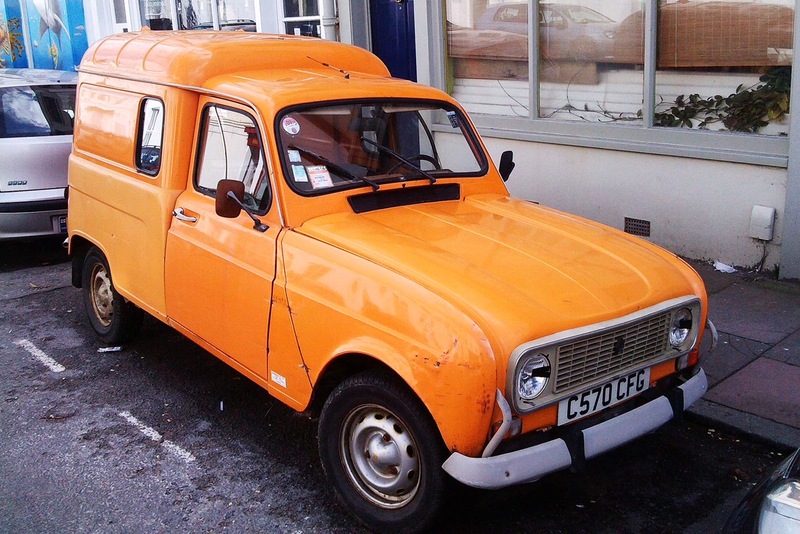 ), but registration plate is British. Check out the headlights. Because of setting of lights for right-side traffic, van's owner had to use a black tape to cover the headlights in the critical spots.